For push-pull output use, see P-T125A">P-T125A - optimized for push-pull tube output circuits. Specifications Audio Watts: 15 Primary Impedance (Ohms): 2,500 to 10,000 Secondary Impedance (Ohms): 4 to 32 Max. DC Bias (mA): 80 Mounting centers: 4" u-bracket Weight: 3.0 lbs. Mounting Center Distance A 4 in. Packaging Dimensions 7.3 in. x 7.3 in. x 5.6 in. 1 answers The description states that the primary impedance is from 10K ohm to 2.5K ohm. However the diagram only shows two leads for the primary. How does the used select the impedance with this transformer? 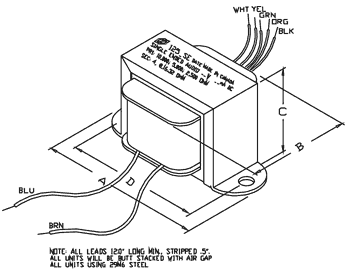 The primary is selected by using the secondary output wires as indicated in the drawing on the specification sheet. 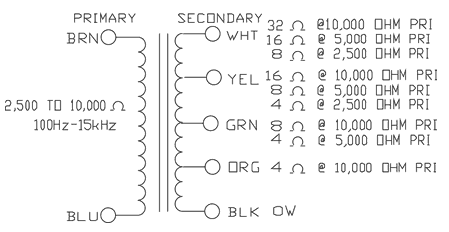 For instance, if you want to have a primary impedance of 5K, and secondary outputs of 16, 8 and 4 ohms you would use the white (16 ohms), yellow (8 ohms) and green (4 ohms) for the secondary either connected to individual jacks or a selector switch. The black lead is ground for the secondary. 1 answers Is this appropriate for a 5E3 build? 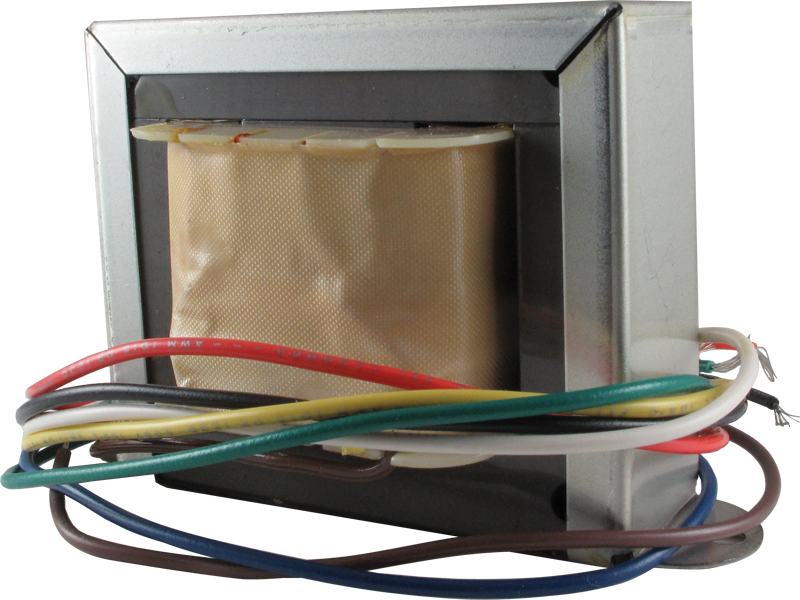 It is possible that this will work in your application, however, you will need to consult a tech for guidance on installing this transformer in the amp in question.